TOOTHGRINDER Premiere New Song "HVY"
TOOTHGRINDER have premiereD the new song "HVY". Listen to the new track streaming below. 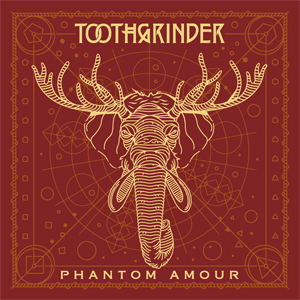 The song lives on the bands new album Phantom Amour, out November 10 via Spinefarm Records. It follows Nocturnal Masquerade, the band's 2015 debut which set the stage for TOOTHGRINDER and allowed them to join New Jersey's long and elite lineage of game-changing metal acts.